“...it’s like opening a door for someone: it provides pleasure for both of you, and reciprocity is not immediately required.” Perhaps the same thing is human relationship? Perhaps the same thing is human relationship? 书中第一章说Relativity是一种Predictable Irrational. “We don't have an internal value meter that tells us how much things are worth. Rather, we focus on the relative advantage of one thing over another, and estimate value accordingly." 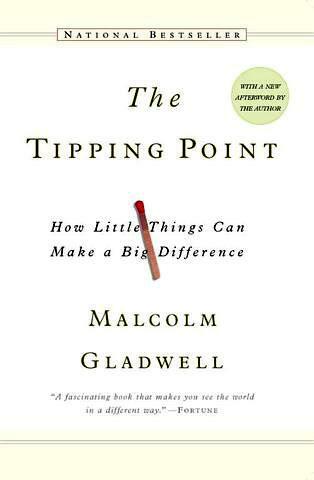 "tend to compare things that are easily comparable--and avoid comparing things that cannot be compared easily." 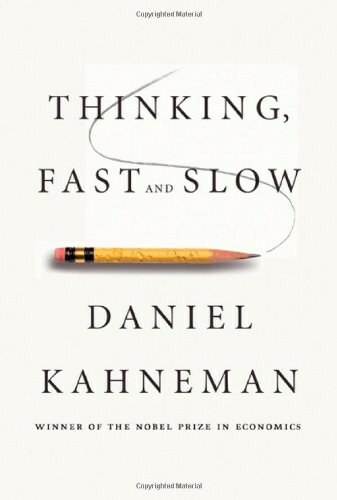 曼昆的经济学原理的第一章说"Rational People Think At Margin." "Rational People often make decisions by comparing the Marginal benefits and Marginal costs." The economical term is Marginal Changes. And he gives the definition of rational people, which is "people who systematically and purposefully do the best they can do to achieve their objects." Most people don't know what they want unless they see it in context. Everything is realative, and that's the point. Most people would take the middle choice. By creating an expensive dish, a restaurant can lure customers into ordering the second expensive choice. A man's satisfaction with his salary depends on whether he makes more than his wife's sister's husband. Our inrationality happens the same way, again and again. 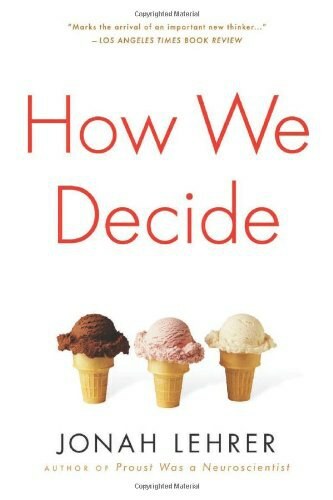 Whether we are acting as consumers, businesspeople, or policy makers, understanding how we are predictable irrational provides a starding point for improving our decision making and changing the way we live for the better. Humans rarely choose things in absolute terms. We don't have an internal value mater that tells us how much things are worth. Rather, we focus on the relative advantage of one thing over another, and estimate value accordingly. 	What can we do: The more we have, the more we want. And the only cure is to break the cycle of relativity. In order to make a man covet a thing, it is only necessary to make the thing difficult to attain. 1)	Goslings effect: goslings become attached to the first moving object they encounter. 2)	Imprinting: we stick with a decision once it has been made. 3)	Anchoring: once we buy a new product at a particular price, we become anchored to that price. 1)	Herding: we assume that something is good or bad on the basis of other people’s previous behavior, and our own actions follow suit. 2)	Self-herding: when we believe something is good or bad on the asis of our won previous behavior. 1)	They illustrate the many choices we make, from the trivial to the profound, in which anchoring plays a role. 3)	We should also pay particular attention to the first decision we make in what is going to be a long stream of decisions. If we can’t rely on the market forces of supply and demand to set optimal market prices, and we can’t count on free-market mechanisms to help us maximize our utility then we may need to look elsewhere. We are not rational but irrational, policies should take this important factor into account. 1. Zero is an emotional hot button—a source of irrational excitement. When social and market norms collide, trouble sets in. 	Whether social or market: the principle is steadiness! 3)	People in communities are happy to give their time to society at large. 2)	Cash will take you only so far—social norms are the forces that can make a difference in the long run. 4)	Social norms are not only cheaper, but often more effective as well. If you want to demonstrate affection, or strengthen your relationship, then give a gift. The work place is not just a source of money but also a source of motivation and self-definition. To fulfill an important role in creating long-term relationship, reciprocity, and positive feelings, companies should try to keep benefits and gifts in the social realm. 1. Every one of us underpredicts the effect of passion on our behavior. The study suggested that our inability to understand ourselves in a different emotional state does not seem to improve with experience, and that we are irrational. Give people an opportunity to commit up front to their preferred path of action. 1)	Pay 100 dollars deposit for the health test. 2)	Repackage most of medical and dental procedures so that they were predictable and easily done. Devise a self-control credit card that would let people restrict their own spending behavior. 1)	Turn off the automatic e-mail-checking feature. 2)	Link different colors and sounds to different incoming e-mail. When we own something, we begin to value it more than other people do. 1)	We fall in love with what we already have. 2)	We focus on what we may lose, rather than what we may gain. 3)	We assume other people will see the transaction from the same perspective as we do. 1)	“Ikea effect”: The more work you put into something, the more ownership you begin to feel for it. 2)	“Virtual ownership”: We can begin to feel ownership even before we own something. 2)	Try to view all transactions as if I were a nonowner, and put some distance between myself and the item of interest. Making relative judgments is the natural way we think. Thus the first anchor influences not only the immediate buying decision but many others that follow. The only way out of this box, in fact, is to rent a home in the new location for a year or so. That way, we adjust to the new environment—and, after a while, we are able to make a purchase that aligns with the local market. You just became the second person in line, standing behind yourself. He worked diligently to separate Starbucks from other coffee shops, not through price but through ambience. ...Starbucks did everything in its power, in other words, to make the experience feel different—so different that we would not use the prices at Dunkin’ Donuts as an anchor, but instead would be open to the new anchor that Starbucks was preparing for us. And that, to a great extent, is how Starbucks succeeded. Once the first decision had been made, other decisions followed in what seemed to be a logical and coherent manner. ...We should also pay particular attention to the first decision we make in what is going to be a long stream of decisions (about clothing, food, etc.). When we face such a decision, it might seem to us that this is just one decision, without large consequences; but in fact the power of the first decision can have such a long-lasting effect that it will percolate into our future decisions for years to come. Given this effect, the first decision is crucial, and we should give it an appropriate amount of attention. Traditional economics assumes that prices of products in the market are determined by a balance between two forces: production at each price (supply) and the desires of those with purchasing power at each price (demand). The price at which these two forces meet determines the prices in the marketplace. This is an elegant idea, but it depends centrally on the assumption that the two forces are independent and that together they produce the market price. In the real world, anchoring comes from manufacturer’s suggested retail prices (MSRPs), advertised prices, promotions, product introductions, etc.—all of which are supply-side variables. then you may find yourself among those who believe that the government (we hope a reasonable and thoughtful government) must play a larger role in regulating some market activities, even if this limits free enterprise. Yes, a free market based on supply, demand, and no friction would be the ideal if we were truly rational. Yet when we are not rational but irrational, policies should take this important factor into account. it was not necessarily designed to help me make a better decision, but to help me justify my choice and feel confident about it. following our gut feelings and rationalizing them after the fact is not always bad. It can sometimes lead us to pick a satisfactory outcome or, at the very least, prevent us from ending up with a car we really don’t want. we live simultaneously in two different worlds—one where social norms prevail, and the other where market norms make the rules. When money was mentioned, the lawyers used market norms and found the offer lacking, relative to their market salary. When no money was mentioned they used social norms and were willing to volunteer their time. Why didn’t they just accept the $30, thinking of themselves as volunteers who received $30? Because once market norms enter our considerations, the social norms depart. Organizations can also think consciously about how people react to social and market norms. Should you give an employee a gift worth $1,000 or pay him or her an extra $1,000 in cash? Which is better? If you ask the employees, the majority will most likely prefer cash over the gift. But the gift has its value, though this is sometimes ill understood—it can provide a boost to the social relationship between the employer and the employee, and by doing so provide long-term benefits to everyone. that a salary alone will not motivate people to risk their lives. Police officers, firefighters, soldiers—they don’t die for their weekly pay. It’s the social norms—pride in their profession and a sense of duty—that will motivate them to give up their lives and health. On some level we all know this, and therefore we sometimes deliberately make decisions that do not fall into line with rational economic theory. Think of gifts, for example. From a standard economic perspective, they are a waste of money. The point is that while gifts are financially inefficient, they are an important social lubricant. They help us make friends and create long-term relationships that can sustain us through the ups and downs of life. Sometimes, it turns out, a waste of money can be worth a lot. Gifts and employee benefits seem, at first glance, to be an odd and inefficient way of allocating resources. But with the understanding that they fulfill an important role in creating long-term relationships, reciprocity, and positive feelings, companies should try to keep benefits and gifts in the social realm. unintentionally demonstrated that social and market norms—much like an acid and a base in chemistry—clash if we try to mix them. The basic lesson, then, is that when we offer people a financial payment in a situation that is governed by social norms, the added payment could actually reduce their motivation to engage and help out. In economic exchanges, we are perfectly selfish and unfair. And we think that following our wallets is the right thing to do. THE RESULTS FROM our experiment also help explain one of the great mysteries in life: why, when we are dining out with friends, taking the last olive feels like such a big deal. ...“Oh,” she said, “I find one extra piece left almost every time. I think it is even more common than people finishing all their sushi.” ...What is this sushi magic? Simply put, the communal plate transforms the food into a shared resource, and once something is part of the social good, it leads us into the realm of social norms, and with that the rules for sharing with others. We found that when effort is part of the equation, it manages to keep a large part of the social norms, though by no means all of it. But in the heat of passion, suddenly, with the flip of some interior switch, everything changes. we need to teach teenagers (and everyone else) not to drive when their emotions are at a boil. It’s not just inexperience and hormones that make so many teenagers crash their own or their parents’ cars. It’s also the car full of laughing friends, with the CD player blaring at an adrenaline-pumping decibel level, and the driver’s right hand searching for the french fries or his girlfriend’s knee. ...A recent study found that a teenager driving alone was 40 percent more likely to get into an accident than an adult. But with one other teenager in the car, the percentage was twice that—and with a third teenager along for the ride, the percentage doubled again. these results suggest that although almost everyone has problems with procrastination, those who recognize and admit their weakness are in a better position to utilize available tools for precommitment and by doing so, help themselves overcome it. Because without precommitments, we keep on falling for temptation. These are the tools that we can commit to in advance, and they may help us be the kind of people we want to be. Enter smart phones—an even greater time sink. The most telling result was that when the rewards ceased, the rats who were under the fixed schedules stopped working almost immediately, but those under the variable schedules kept working for a very long time. This variable schedule of reinforcement also works wonders for motivating people. It is the magic (or, more accurately, dark magic) that underlies gambling and playing the lottery. ...In fact, the joy of gambling comes from the inability to predict when rewards are coming, so we keep playing. We are so happy to receive the unexpected e-mail (pellet) that we become addicted to checking, hoping for more such surprises. We just keep pressing that lever, over and over again, until we get our reward. When the doctors told me what to expect, I decided that I would not watch any movies until after I injected myself, and then I could watch as many as I wanted until I fell asleep. if a particular desired behavior results in an immediate negative outcome (punishment), this behavior will be very difficult to promote, even if the ultimate outcome (in my case, improved health) is highly desirable. After all, that’s what the problem of delayed gratification is all about. Certainly, we know that exercising regularly and eating more vegetables will help us be healthier, even if we don’t live to be as old as the Delany sisters; but because it is very hard to hold a vivid image of our future health in our mind’s eye, we can’t keep from reaching for the doughnuts. America’s top killer isn’t cancer or heart disease, nor is it smoking or obesity. It’s our inability to make smart choices and overcome our own self-destructive behaviors.10 Ralph estimates that about half of us will make a lifestyle decision that will ultimately lead us to an early grave. The first quirk, as we saw in the case of the basketball tickets, is that we fall in love with what we already have. ...The second quirk is that we focus on what we may lose, rather than what we may gain. ...The third quirk is that we assume other people will see the transaction from the same perspective as we do. What is it about options that is so difficult for us? Why do we feel compelled to keep as many doors open as possible, even at great expense? Why can’t we simply commit ourselves? To our surprise, they continued to waste their clicks on the “reincarnating” door, even though its disappearance had no real consequences and could always be easily reversed. They just couldn’t tolerate the idea of the loss, and so they did whatever was necessary to prevent their doors from closing. THE OTHER SIDE of this tragedy develops when we fail to realize that some things really are disappearing doors, and need our immediate attention. We may work more hours at our jobs, for instance, without realizing that the childhood of our sons and daughters is slipping away. Sometimes these doors close too slowly for us to see them vanishing. What we need is to consciously start closing some of our doors. ...But the bigger doors (or those that seem bigger) are harder to close. Doors that just might lead to a new career or to a better job might be hard to close. Doors that are tied to our dreams are also hard to close. choosing between two things that are similarly attractive is one of the most difficult decisions we can make. What my friend (and also the donkey and Congress) failed to do when focusing on the similarities and minor differences between two things was to take into account the consequences of not deciding. They could have even flipped a coin (figuratively, in the case of the donkey) and gotten on with their lives. But we don’t act that way, because we just can’t close those doors. how could any two parties look at precisely the same event and interpret it as supporting their opposing points of view? We can add small things that sound exotic and fashionable to our cooking (chipotle-mango sauces seem all the rage right now, or try buffalo instead of beef ). These ingredients might not make the dish any better in a blind taste test; but by changing our expectations, they can effectively influence the taste when we have this pre-knowledge. Finally, don’t underestimate the power of presentation. That’s what marketing is all about—providing information that will heighten someone’s anticipated and real pleasure. Research on stereotypes shows not only that we react differently when we have a stereotype of a certain group of people, but also that stereotyped people themselves react differently when they are aware of the label that they are forced to wear. ... stereotypes can also affect the behavior of people who are not even part of a stereotyped group. The perspective of each side is presented without the affiliation—the facts are revealed, but not which party took which actions. The truth is that placebos run on the power of suggestion. They are effective because people believe in them. You see your doctor and you feel better. You pop a pill and you feel better. ...If placebos can make us feel better, should we simply sit back and enjoy them? Or are placebos patently bad—shams that should be discarded, whether they make us feel good or not? it did set a powerful example of how transparency and sacrifice can serve to restore public trust and help a firm set itself on the right path. counterintuitive, result was even more impressive: once tempted to cheat, the participants didn’t seem to be as influenced by the risk of being caught as one might think. So we learned that people cheat when they have a chance to do so, but they don’t cheat as much as they could. it is clear that oaths and rules must be recalled at, or just before, the moment of temptation. BECAUSE WE ARE so adept at rationalizing our petty dishonesty, it’s often hard to get a clear picture of how nonmonetary objects influence our cheating. we are all far less rational in our decision making than standard economic theory assumes. Our irrational behaviors are neither random nor senseless—they are systematic and predictable. 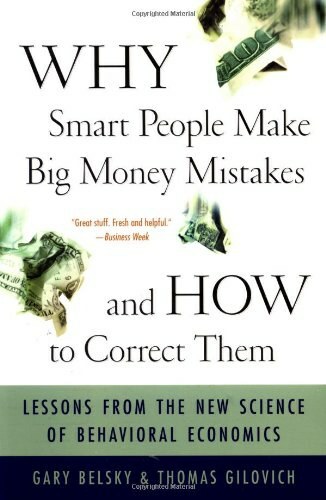 We all make the same types of mistakes over and over, because of the basic wiring of our brains.